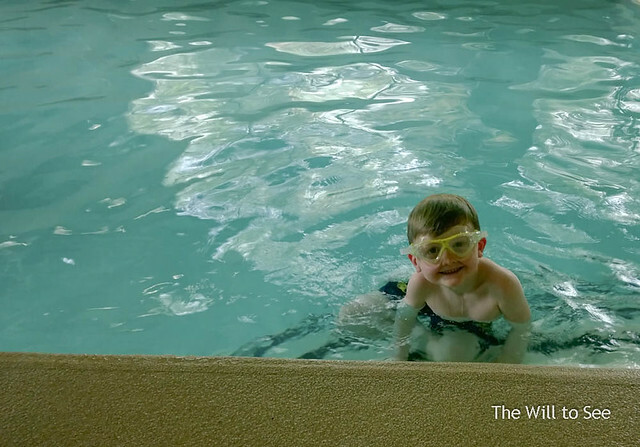 Will has been taking swimming lessons for the last few months. He started out not being able to swim on his own at all. Now he can swim part of the way across the pool. As he is with all things, he is learning to swim at his own pace. He really struggled with goggles until I found this pair of hybrid goggle/mask. He is doing much better with keeping them on his face during class.